After performing with his father on Dec. 22 at one of the concert highlights of 2018, Pat Simmons Jr. is looking forward to entertaining folks with his new band featuring California-based cousins Sam Frey on bass and Adam Frey on drums. The trio will play a few dates on Maui beginning with a show at 8:30 p.m. Saturday at Charley’s Restaurant & Saloon in Paia. 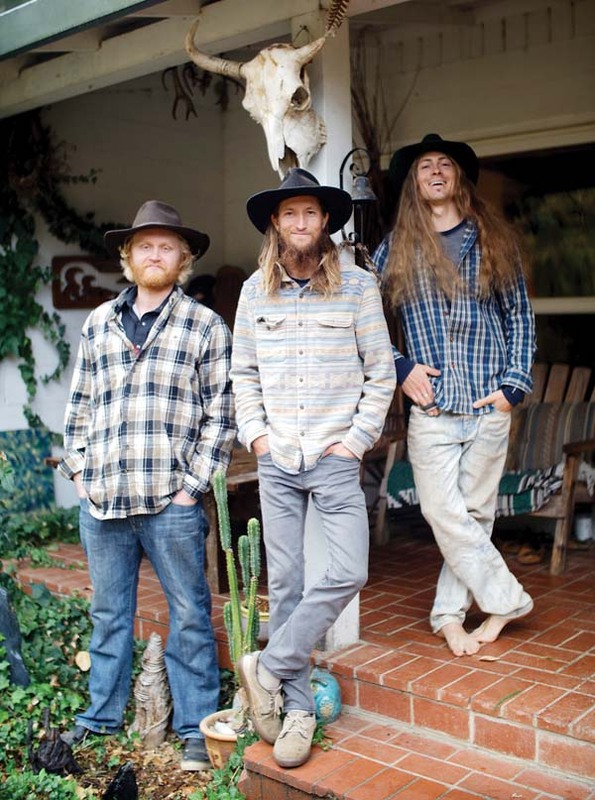 Besides enjoying playing together, the three musicians also share a love for organic farming. With similar musical tastes, the trio has a diverse repertoire. 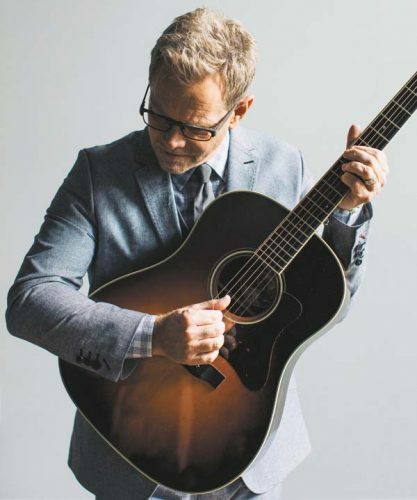 On Dec. 21 and 22, he played two “Generations” shows with his dad, Doobie Brothers’ co-founder Pat Simmons, in a terrific band that included bassist Hutch Hutchinson, Doobie Brothers’ multi-instrumentalist John McFee and veteran drummer Marty Fera. “It was amazing to play with those guys, and also to be able to perform the material live from my (‘This Mountain’) album,” he enthuses. Pat backed his dad on some early Doobies’ gems, including “Chicago” and “Slat Key Soquel Rag,” and his dad backed him on tunes from “This Mountain,” brilliantly embellished by McFee’s steel guitar playing, along with a cover of America’s “Ventura Highway,” and some new songs. British rock legend Dave Mason was a surprise guest both nights. After playing a few tunes on Dec. 21, he was inspired to head home and compose a new song for Pat. Over the holiday season, Pat got to perform at the star-studded New Year’s Eve party at the Wailea Beach Resort — Marriott, Maui, and jam with G. Love at Charley’s. He recently played Willie K’s BluesFest at the Maui Arts & Cultural Center. Pat and his dad were about to join Willie on stage when he collapsed. “We had our guitars on our shoulder, and were going to walk out on stage,” he adds. 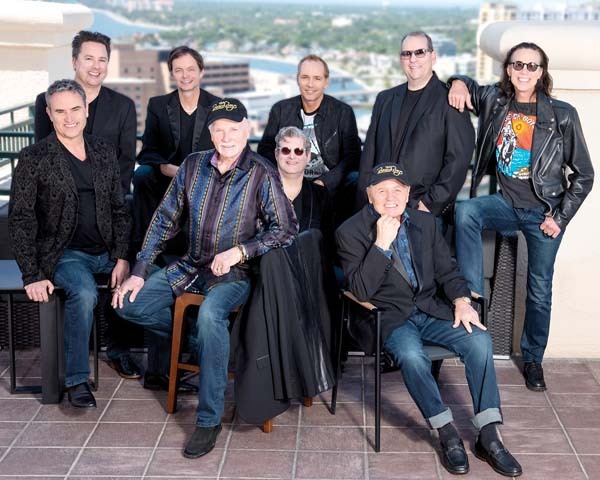 Spending time when he was younger on the road touring with his dad and the Doobie Brothers, Pat later opened some shows for the legendary rockers. 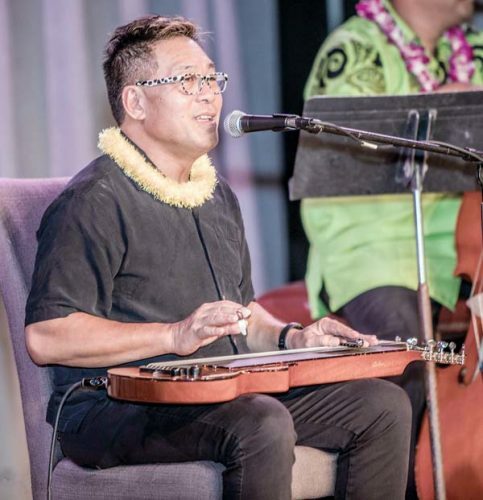 Diagnosed with cancer about five years ago, he had successfully healed when he began composing songs for his first album, “This Mountain,” which was nominated for two Na Hoku Hanohano Awards. 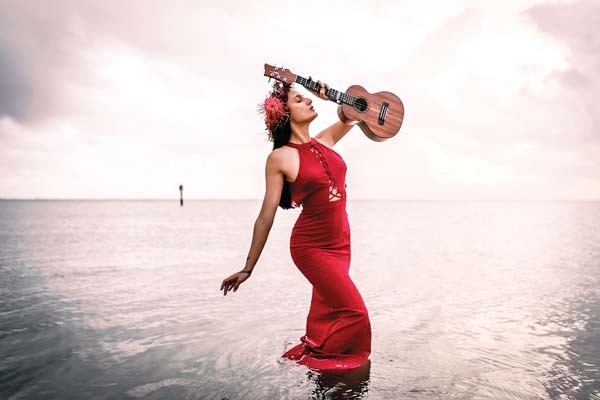 The impressive recording featured a galaxy of stellar musicians including his father, the Doobie’s McFee, Elvin Bishop, and Maui’s Keali’i Reichel and Willie K.
Reflecting his heartfelt love for our island, song topics ranged from a powerful homage to Haleakala and his passion for surfing, to environmental protection, grounding in nature and cancer recovery. On the anniversary of that missile scare, Makana released an extraordinary video of a powerful new song shot in a once secret Russian nuclear bunker. It can be viewed at https://vimeo.com /310276887. The Bulletin of Atomic Scientists has shared the video on its website. While touring Russia, he heard about the recently declassified Bunker 703, a once top-secret nuclear bomb shelter deep underground in Moscow. It was formerly a repository for the Soviet Foreign Ministry’s archives, disguised as a chocolate factory during the Cold War. Led by a Russian soldier, Makana was the first American ever to descend into the bunker. Moved by the moment, he improvised a song on the spot, “Mourning Armageddon,” which was captured on film with a hand-held camera. “I can’t believe the most beautiful acoustics I’ve ever heard were in a nuclear bunker,” he reports. Makana performed benefit concerts for audiences in Moscow and St. Petersburg organized by Bruce Allyn and Cynthia Lazaroff, who founded NuclearWakeUpCall .Earth, after experiencing the Hawaii missile scare. This weekend Makana plays the St. Barts Music Festival in the French West Indies. 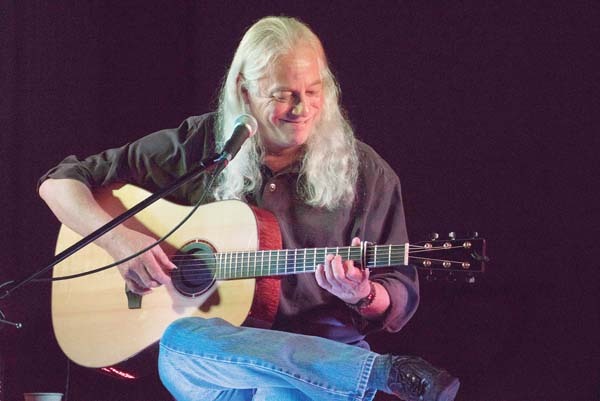 Known for his acoustic fingerstyle guitar playing and lap steel music, Grammy Award-winning Ed Gerhard is acclaimed as one of the top acoustic guitarists in the world. Along with players like Ben Harper and David Lindley, Gerhard’s unique approach to the Weissenborn (an acoustic “Hawaiian” lap side guitar) has played a significant role in reinvigorating interest in this esoteric instrument. Guitars by Weissenborn were designed to be played with a slide on the lap, like a dobro. They were the most popular “Hawaiian” instruments of the mid 1920s. Beginning to play guitar at the age of 14 after being amazed seeing classical guitarist Andres Segovia on TV, Gerhard was also influenced by the open tunings of renowned folk guitarist John Fahey. 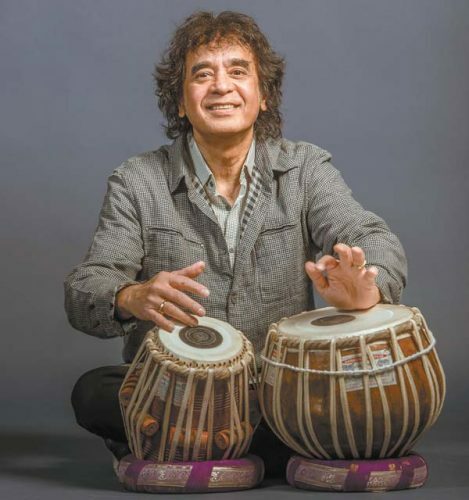 This brilliant virtuoso issued his solo debut, “Night Birds,” in 1987. It was picked at the time as one of the Top 10 Albums of the Year by the Boston Globe. Notable for his inventive use of many different open tunings and a strong melodic sense, his repertoire ranges from traditional blues and spiritual standards, to Celtic songs and Hawaiian-influenced compositions. Among his most memorable works, “Homage,” a tribute to guitarist Michael Hedges, is simply sublime. 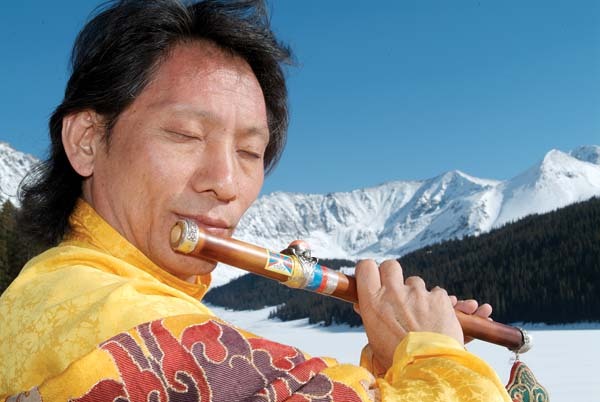 • Ed Gerhard performs tonight at 7:30 in the MACC’s McCoy Studio Theater. Tickets are $42 and $56 (plus applicable fees). For tickets or more information, visit the box office, go online to www.mauiarts.org or call 242-7469.